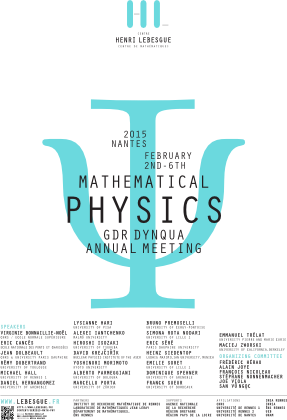 The aim of the GDR dynqua is to structure the community of reaserchers interested in the theoretical and mathematical aspects of quantum mechanics. This is also one of the themes developped in the ANR NOSEVOL project. The present common conference, opening the thematic semester "PDEs and large time behavior", is an occasion to give a special enlightening to this very active domain. The conference took place at Amphi Pasteur of the Campus sciences of the University of Nantes from Monday 2nd of February at 2pm to Friday 6th at midday (see the information page). The talks have been captured and are available online.